Posted by carolhagen in archiving, Bluebeam Revu, email. 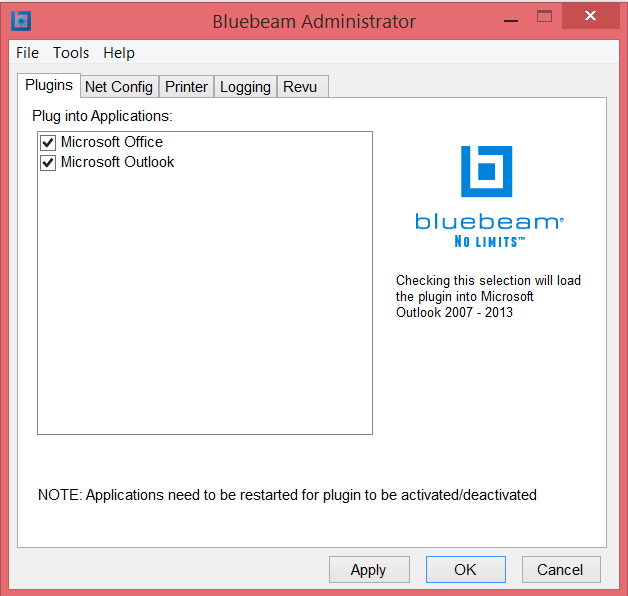 If you don’t see the Bluebeam options on your Outlook ribbon and right click doesn’t have the convert to PDF option either, you may not have the Outlook Plug-in installed. Either contact your company administrator, or if you only have a single license, run Bluebeam Administrator. The dialogue box brings up what plugins you have Make sure they are checked, then click apply. Bluebeam Standard includes Office and Outlook. Bluebeam CAD and Extreme add AutoCAD, Navisworks, Revit and SketchUpPro to the mix. Change settings in the Outlook plugin controls what prompts you see before converting to PDF and the page settings. It also controls where the file or folder is saved to, the password security permissions and if designated, the stamp that is applied to the PDF. Is your new year’s resolution to clean up your Outlook inbox or to remove old email? Let Bluebeam help you delete with confidence! If your firm (or a friend) needs to add Bluebeam licences, please Email Me Your Contact Info before Dec 31, 2014 and you’ll automatically get the Revu 2015 release for free! Note this program is only available thru authorized Bluebeam resellers and is not available from Bluebeam direct. 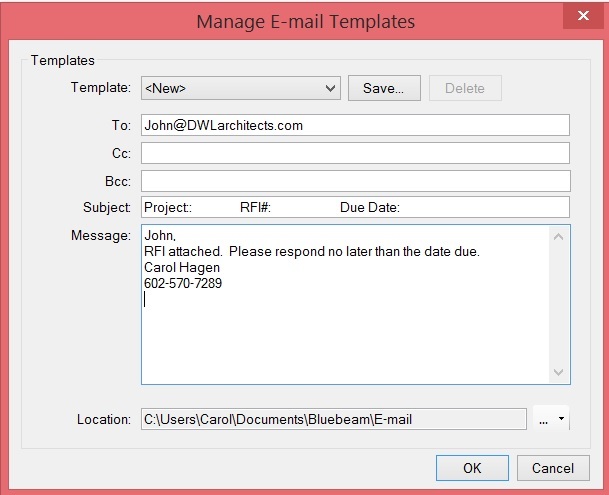 Posted by carolhagen in Construction Industry - Software, Document Imaging, email, records retention. 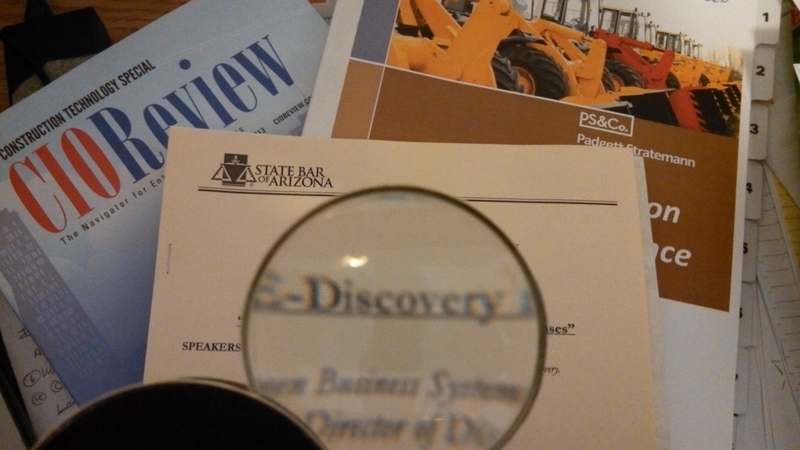 As a panelist for the Arizona Bar Association luncheon yesterday along with Kathy Kozen, Esq, Director of Discovery Services for D4 E-Discovery and Russell Yurk, Esq, Jennings Haug and Cunningham, a crowd of 80+ lawyers filled the room at the Phoenix Country Club. They asked me to give them an overview of what Enterprise Content Management (ECM) was and what technology construction firms were using to manage their documents. There were cases sited involving email, metadata, and search terms that they asked us to comment on as well. Here are a few highlights of what I shared that could prove helpful to contractors (and lawyers) to improve their construction document management and avoid unnecessary e-discovery litigation expenses in their future. In an e-discovery process many documents are extracted for review and the delivered results are something like an ECM system – searchable, sortable, accessible and deliverable. If you have an ECM system in place prior to litigation you’ll save money in the gathering phase and can produce native documents and metadata if necessary. Document Management in accounting and project management systems is often a paperclip function and not all are alike. Some merely point to a file address and the link can be lost if the document is moved on a hard drive or archived. Email is a terrible way to document a construction project and can be costly to recreate the timelines when older email is involved. Avoiding the use of email, leading firms are collaborating on documents (marking up, editing and producing auditable records) in project management, cloud based systems and PDF editing solutions then importing the documentation into their ECM systems as part of the workflow. Email in these firms may only be a notification system to alert subcontractors and other project stakeholders of request for input or approval on RFIs, submittals, change orders,etc within the Project management or ECM system. Photo management is exploding and innovative firms are capturing photos throughout the project from mobilization thru the punch process. On large complex projects like hospitals, many are outsourcing the capture of in progress jobsite photo collection at set milestones. I sited an ENR article from February of 2012 that stated some firms were writing into their contracts that email would not be used for e-discovery on the project – This received many chuckles from the audience, however, as the trend toward less email use continues, there won’t be much value in email – just a bunch of expense. Some judges will uphold this argument as well if both parties had agreed before the project began. Having a documented records retention and destruction policy can help avert opposing council’s request for you to pull email from backup tapes. Backups are for catastrophic loss (fire, flood, computer hard drive failue, etc). By having an email records retention policy that is followed (you destroy the emails in a timely fashion per the policy) may save you tens of thousands of dollars in e-discovery costs. Printing out emails and storing them in a physical job folder while deleting the original email (and it’s metadata) could be a records retention policy breach and null your protection. Smart lawyers will ask you to produce the email with metadata since a printed out email could be produced on a typewriter. ECM can include Word, Excel, Powerpoint, recorded VOIP messages, audio, photos, video, web content, scanned documents, e-forms, Text messages, email and the attachments in any format including .PDF, .DWG, .DWF, .IFC, etc. It will be difficult to convert Building Information Modeling (BIM) to .TIF as it is a visual 3D rendering. BIM files are exceedingly large. Laser scanning is also becoming commonplace along with augmented reality which will also be “discoverable” in complex cases. Much of the e-discovery expense is in exporting documents and converting them to a standard readable and searchable formats like .PDF or .TIF. Bates numbering can be done with .PDF – Bluebeam Revu offers this feature and also has document conversion capabilities for many standard formats. There will continue to be an explosion of data volume with smartphones, tablets and mobile device use in construction, therefore e-discovery data collection may also grow exponentially. Without a plan to eliminate silos and share documents across platforms (Sharepoint servers, ECM systems, accounting, project management, mobile devices and other collaborative systems) a construction company increases its exposure as they collect and retain more data. If you are looking for ECM solutions to make your plan room and/or your entire company electronic, mobile, collaborative, accessible, and auditable, we consult and market ECM and electronic document management systems to the construction industry. Just Email Me what you’re looking to solve and let’s get you started. Posted by carolhagen in Construction Industry Hardware, email, records retention. Construction companies communicate primarily through email, even when using a project management software solution. Often it is reminders and clarifications to help document the project. Progressive construction operations and accounting departments leverage email in their systems to increase collaboration, nurture relationships, improve productivity, reduce paper volumes, spread news and update the project team. Often email holds over 70% of all the intellectual property in a contracting business when you include all the attachments. So what are you doing to protect this valuable data? With email storage growing 37% year over year, limiting your employee’s mailbox size may improve your email server performance but you are simultaneously losing valuable documentation. Construction operations managers often create policies to drag n drop emails into a document management system. Some project management systems log the email on the project as they are sent. The problem with these approaches it that it requires a human to stop and take time to drag the email or always log into a project management system. With the smartphone prevalent throughout the construction mobile workforce is this a reasonable expectation of your project managers and field teams? Add texting, instant messages and social media to the mix and it seems that more often than not, there are exceptions that may sidestep your project system’s design. Even marketing and business development communications may be locked in a silo that knowledge in operations could benefit from. Then there’s the dreaded discovery when a project has turned sour. Accessing what’s been said in email can be a godsend or at least identify your exposure to risk. How can a construction firm capture everything? Email archiving or integration to an Enterprise Content Management System(ECM). Not every email archiving system can capture everything but some are worthy of discussion as they incorporate new features as technology advances. For instance, Arcmail Defender which can instantly archive your chats and attachments. It has also addressed communications shared in SalesForce Chatter, an enterprise social network mentioned by a few contractors who have deployed the Salesforce CRM system. Armail has been working with construction companies since 2006 as they offer a case study of Pinkard Construction online [PDF]. By having a email archiving system in place you can search across the enterprise for all incoming and outgoing communications, project related or otherwise. If you’ve ever searched in Outlook through 6 months of saved emails, you may be waiting awhile for results. Searching from an email archiving system offers additional search functions and shortens the time to locate critical communications. If you can increas productivity and reduce risk it’s a win-win. Once overheard in a construction management meeting, “The firm with the most documentation wins” is a mantra that is only true if you can also find what you’re looking for. As a reseller of ArcMail I’d like to invite you to an on-demand email archiving demonstration. Simply Click here to watch a 30 minute overview or Email Me to ask questions and schedule a one-on-one demonstration. Posted by carolhagen in Construction Industry - Software, email, linkedin. Exporting your LinkedIn Contacts is just a good business practice. After returning from the 2010 National Association of Women in Construction (NAWIC) Convention it became apparent that every professional needs a few tips on LinkedIn. Since LinkedIn accounts can be suspended and even the best systems can fail at anytime, it’s smart to have a backup plan in place and export your contacts from LinkedIn occasionally. So how do you extract all your contacts from LinkedIn? 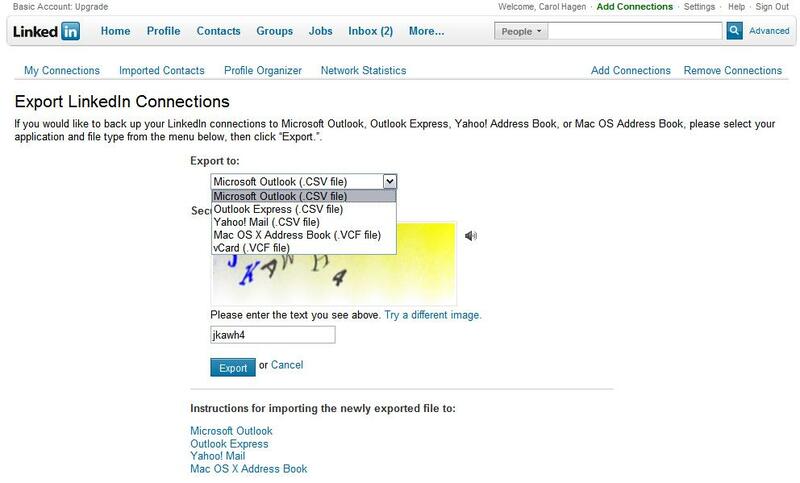 LinkedIn gives you options to export to Outlook, Yahoo Mail, MAC or a vCard format and also provides directions of how to import too. I realize that you probably don’t have your entire Outlook Address Book as contacts in LinkedIn but I hope every contact is in your Customer Relationship Management System. Many products are integrating LinkedIn into their email systems and there are plug-ins for outlook like Xobni and LinkedIn for Outlook, a social networking connector that your firm may want to consider. It helps improve your relationships by having the ability to access status updates and activity efficiently in whatever application you are working in. The more connections you have the more valued investment you have in LinkedIn. I’d like to hear from you. How many of my readers have ever exported their contacts? More importantly how many will? How to Make a Personalized Newspaper is really a big time saver and Google Reader with iGoogle made my information aggregating simple. Gathering news on your favorite topics can be a chore … visit your favorite websites and read through all the email subscriptions in your inbox. While my tech friends already use Google Reader or other RSS readers, I found that the rest of the world is still in the dark on how to make this automatic. Let’s first discuss what RSS is. RSS is a term the news media has leveraged meaning Real Simple Syndication. To the layman it’s a way to subscribe to news, blog posts, etc. 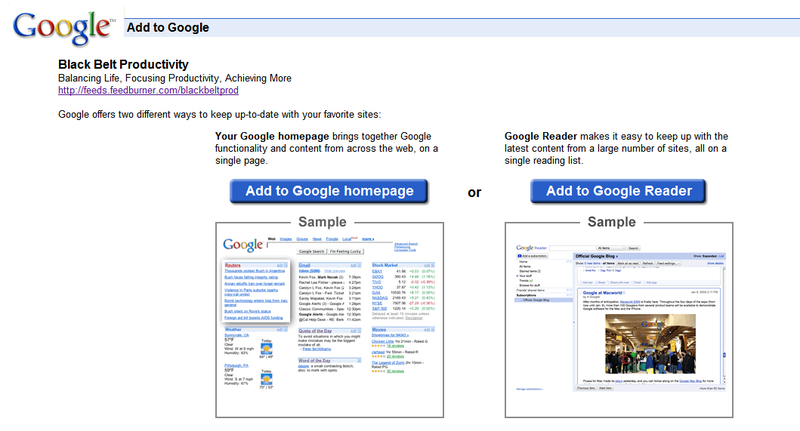 RSS eliminates the need for you to visit each blog or multiple websites to read updates and new articles. Adding iGoogle to the mix organizes all your “subscriptions” into a newspaper format filled with headlines, divided into sections and customized to your liking. So instead of receiving 100’s of emails a week, you visit iGoogle, choose what section of your newpaper you want to scan thru — glance at the headlines and read only those that peak your interest. Reducing email volume, alleviating distractions and enabling you to get caught up on topics quickly has proven to be a huge time saver. No more clogged email inbox for me! What’s really great is all this is easy to do and free to use. So how do you put this together? Start with signing up for a Google gmail account. It will ask you for your login, password, etc. 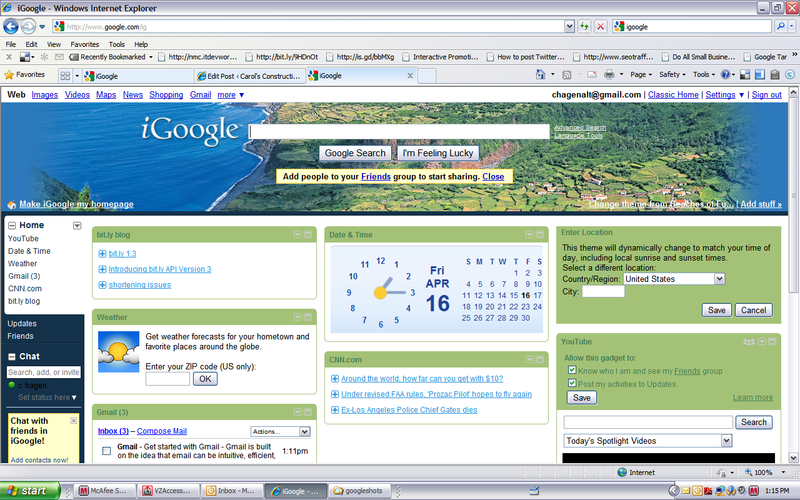 You do not have to make Google your defaul homepage or enable web history. It will ask you to try out Buzz…skip this for now as that will be covered in another blog post. Now you get to customize it with gadgets. You can change the theme at the top if you’d like. If you don’t want a gadget, just delete it. You can also move them around by clicking on the crosshairs and dragging it to where you want it. Google also has many gadgets you may want to add. Click on Add Stuff in the lower right hand corner of the theme picture (top of the page) and you will be taken to another page. 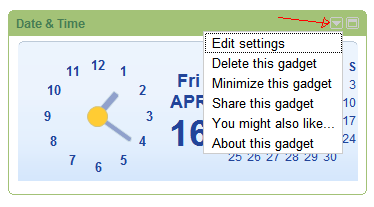 Some of my favorites gadgets are: Google Calendar, Google Translate, LinkedIn Search, and TwitterGadget. If you are a news junkie, grab CNN or FoxNews, or perhaps Engadget (IT guys like this). Don’t lose focus and just grab a few for now. 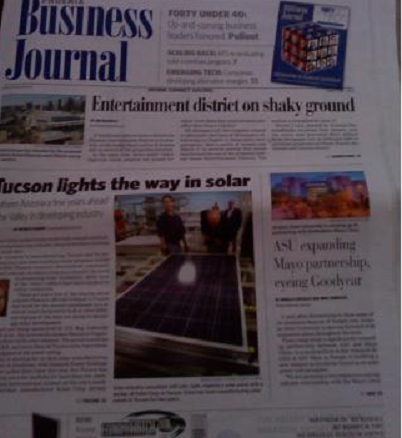 Remember we are creating a customized newspaper of all things you like to read about. 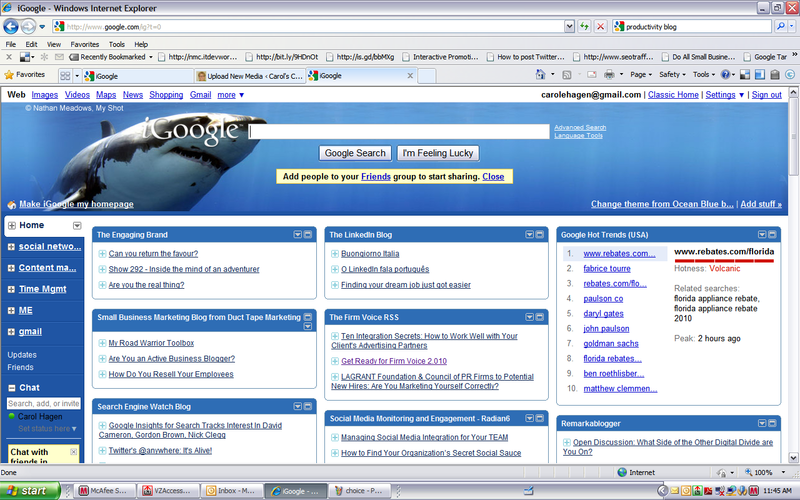 Once your finished grabbing gadgets, click “back to iGoogle page” (at the top). Now lets create our newspaper sections. Once you create tabs you can also drag gadgets from your homepage to another tab. If you are still logged into google and on your iGoogle page, when you select “Add to Google Homepage” it will add the blog feed to whatever tab (section) you have open. Once the blog is on your page, you can click the down arrow and edit the gadget to have it show you the last 3 to 9 blog post headlines from that blogger. Repeat the steps and soon you’ll be reading your own custom newspaper too! Posted by carolhagen in Construction Industry - Software, email, web 2.0. 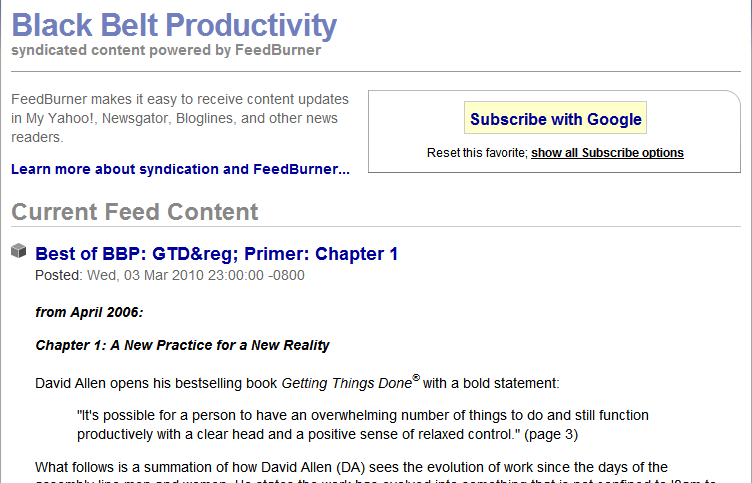 First Sign-up for Google Feedburner and enter your blog’s information (title, original address a nd new feedburner address). and save your feed details. Don’t worry, this is free. Click on the Publicize tab. Follow the instructions in the pop-up based upon your email service. It’s available for Mozilla Thunderbird, Microsoft Outlook Express, Outlook 2003, Yahoo Mail and has workarounds for Gmail and Apple Mail too. There’s plenty of other great features to help you with optimization and publicizing your blog with Feedburner. I’ll make this a series of how to’s for the next few weeks. If the construction industry starts using collaboration 2.0 (aka social media) for marketing and communication, for sure they will want to learn all these blog tips. Share your success with us. We like to hear from our readers! Posted by carolhagen in archiving, Construction Industry - Software, email, records retention. Last week I spoke on “Records Retention” and “The Paperless Office” at the 54th Annual Convention of the National Association of Women in Construction (NAWIC). The room was packed and the reality of the situation is that the majority of construction firms have not addressed written records retention policies. Most that have are the over $100 million in annual revenues, and many in attendance had forgotten to include e-policies for their email, text messages, and social networking activities. The most interesting discussion was a firm (company A) that had experienced a legal discovery issue which centered around email. They now have a written policy, all emails are removed from the exchange server and computers accordingly. They even erase the tape backups that contain the email per their retention policy. So far so good. What caught my attention was that the engineers said they wanted to keep a copy of the email, so they print them out and put them in the project file. This is in direct violation of their own policy. I spoke with a subcontracting firm (company B) that did the opposite of what was described above. They just didn’t have space to electronically manage email so for them the record was kept by printing it and placing it in the project folder and it was erased from their email systems. A general contracting firm claimed they had not approved of a change order (they themselves did not archive their own email) and this subcontractor showed them a copy of their email approval. The GC backed off, but this document won’t hold up in court. Why? Lack of metadata. In both situations there’s no metadata to prove the document is authentic and unaltered. In Company A’s case, if you print your email, it is a copy. Their next discovery issue, if only emails are requested might go undetected, but if they are asked for the project files they’re in a heap of trouble. The courts will think they deleted the electronic version to “hide” something . It’s because Company A is not uniformly enforcing their email retention policy. In Company B’s case it is a copy but not worth the paper it’s printed on in court. Both firms have exposure. If they read this article they know they have risks. What’s important at Company B is that they don’t have that GC’s attorney ask for the original email. The tactic of scaring them away with the paper and calling upon their ethics is a good method, but be prepared if the GC has a tech savvy lawyer. I just received an email referring to an attachment that was nowhere to be found. I have to admit I’ve been guilty of this faux pas myself and this is just one of the issues I’d like to address in my blog today. Missing attachments can be user error or a setting issue. Mine have always been the former and now I know I’ll never have it happen again. No more email oops messages for me, just use The Forgotten Attachment Detector or the missing attachment PowerToy . Both are plug-ins designed for Outlook 2007. You’ll need your system administrator to allow you to install either of these but if there are no incompatibilities your IT guy and the entire staff will thank you. These plug-ins look for a few words that would suggest you meant to have an attachment and voila, it will stop you from sending the email without attaching something. Gmail also has a Forgotten Attachment Detector but it isn’t automatically enabled…you have to enable it in Labs. Login to Gmail, Click on Settings then find Labs and scroll down till you find Forgotten Attachment Detector by Jonathan K. That’s what I call “Attachments for Dummies”. Another reason that people encounter the missing attachment has to do with incompatibility. Only Microsoft uses the winmail.dat file when sending in Rich Text Format (RTF). By simply changing a setting you can eliminate this problem. To avoid using RTF format in Outlook select Tools -> Options -> Mail Format and make sure you select HTML or Plain Text. Note that different Outlook versions will determine where this setting can be changed. My pet peeve on email has to do with send. I find many people are in a rush and forget to check spelling, proof read or add the appropriate cc’s to emails before they press send. I have looked for a solution and most of it actually resides within Microsoft. Here’s a how to “Delay Sending Email” for you to set-up on your own computer so if you have an “oh s&#*” moment you can catch it before it’s left your outbox. You’ll also want to turn on the automatic spell checker, so review these set-ups accordingly… auto spell check on all email before sending(Outlook 2003) , auto spell check for Outlook 2007 or auto spell check for Outlook 2010. If you have any other tools or suggestions to make emailing less embarassing, please share your comments. Let’s make email a better experience for all of us! Posted by carolhagen in backup, Construction Industry - Software, Construction Industry Hardware, email. Click on Menu to download the powerpoint presentation. I am concerned that so many firms have left their only copy of email either scattered in PSTs on various PC and laptops or that they are dependent upon their in-house backups. If any CFMA member wants to get this addressed ASAP, have your IT people contact me and we can arrange for a consultative meeting. Also in the presentation I mentioned Removable Disk RDX as it has a 30 year lifespan, it’s total cost of ownership (TCO) is much less than regular hard disk and it’s good for backups & archiving data, email, etc. Most IT staff and outsourced technology firms have not promoted this media as they haven’t been exposed to it yet – even though RDX has been available for years. I found it when the manufacturers of optical disk systems closed shop in this current recession. One large General Contractor here in Phoenix is using the Prostor Systems Infinivault as backup & archives for large swaths of data including their document imaging and email systems. If you’d like the opportunity to meet with this firm, let me know and I’ll arrange for you to talk or visit their IT department. Lastly, I must say that it seems that intelligent E-forms from firms like Formatta & PerfectForms will have to wait another year for most contracting firms here in Arizona. With the construction industry treading water, new fangled approaches that integrate with other applications are more likely to be implemented by CFMA associate members that deal with mountains of forms. I think the CFMA general members are still embracing the tried but true fillable Adobe Designer forms. They’ll work on putting workflow, behavioral rules, reporting and integration to accounting systems to eliminate re-keying data sometime after they contend with their email issues. For those reading this blog and are not currently members of CFMA, if you supply a service to the construction industry or work in a construction office as a controller, CFO, VP or have another accounting title you should attend our next meeting and consider membership. You can’t find a better group for networking, education and CPE credits! This is a blatant plug…if you do decide to join the CFMA, please put Carol Hagen in as the member who referred you on the application form.